The Food and Drug Administration of Thailand (FDA) has recalled some batches of Valsartan, a medicine used to control blood pressure after the finding that some of its ingredients contain carcinogenic impurities. 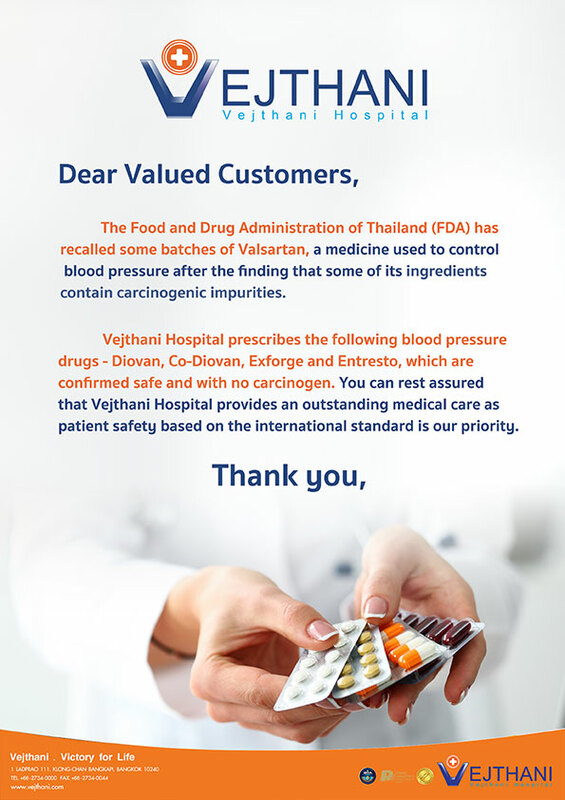 Vejthani Hospital prescribes the following blood pressure drugs – Diovan, Co-Diovan, Exforge and Entresto, which are confirmed safe and with no carcinogen. You can rest assured that Vejthani Hospital provides an outstanding medical care as patient safety based on the international standard is our priority.